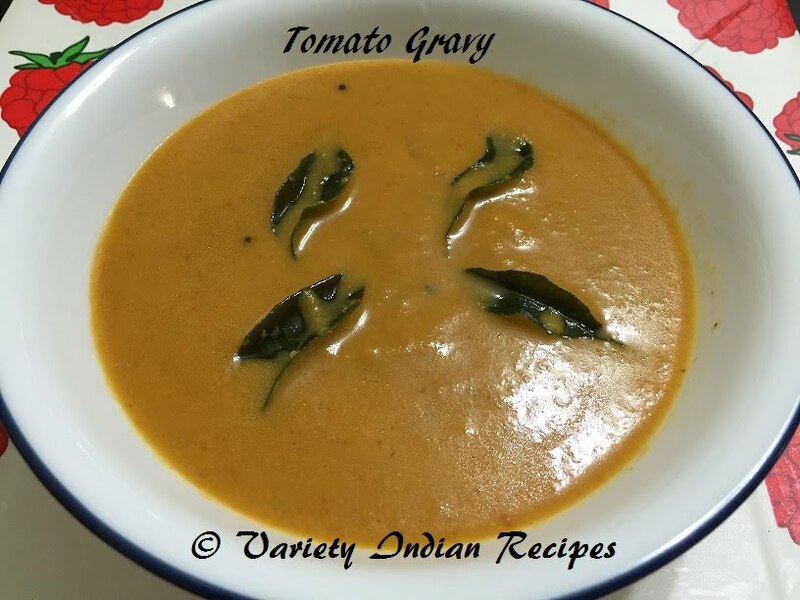 This tomato gravy is a traditional recipe made using coconut paste. It is a simple and quick dish. This gravy goes well with rice, chapathi/roti, idli and dosa too.. Boil tomatoes with water in a pan. Allow the tomatoes to boil until the skin peels off. Pour Oil in a pan, roast red chillies,curry leaves,onions. Saute till onions are translucent. Turn off flame, add coriander powder and mix well. Cool the above roasted ingredients and grind them with grated coconut. Heat oil in a pan, add mustard seeds. Once the mustard seeds splutter, add fenugreek, curry leaves. Add in the tomato purée and stir well. Add the grounded paste (paste containing onion,red chillies and coconut) and mix well. Once the gravy starts boiling, simmer and allow to boil for 3 more minutes.